Meetings with our staff to explore your revenue opportunities, What benefits your business the most – to lease or purchase? Will I need a service agreement later? A single point of contact to answer any questions you might have with your newly acquired appliances, services available, etc. Our 25+ years experience within an ever evolving industry. By staying attuned to industry developments we are able to lessen the exposure of our clients to common pitfalls. We have the knowledge and power to get things done, let us show you how! The appliance industry, like the auto industry, is constantly evolving. Last year’s models are discontinued and replaced with the newer, more advanced designs. Even the appliance industry has been influenced by technology. Whether it’s a heat sensor within a dryer or a motherboard in a washer, new features are being introduced regularly to address safety and environmental concerns, as well as, performance enhancements. I remember when we first started leasing appliances, back in 1993, a washer fell from the back of our first delivery truck (an old El Camino) and when we went back to put it on truck there was not one single dent, simply a couple of scratches. Appliances today are often composed of less durable parts including thin aluminum bodies. Thus, the equipment must be taken care of when moving, operating and maintenance is needed if you want to extend the life of the equipment. The lack of adequate maintenance often results in costly repairs and/or unit replacement. Along with increases in technology has grown a steady increase in equipment costs for maintenance and repairs. You’ve probably seen this with your own home appliances that you might have bought recently. 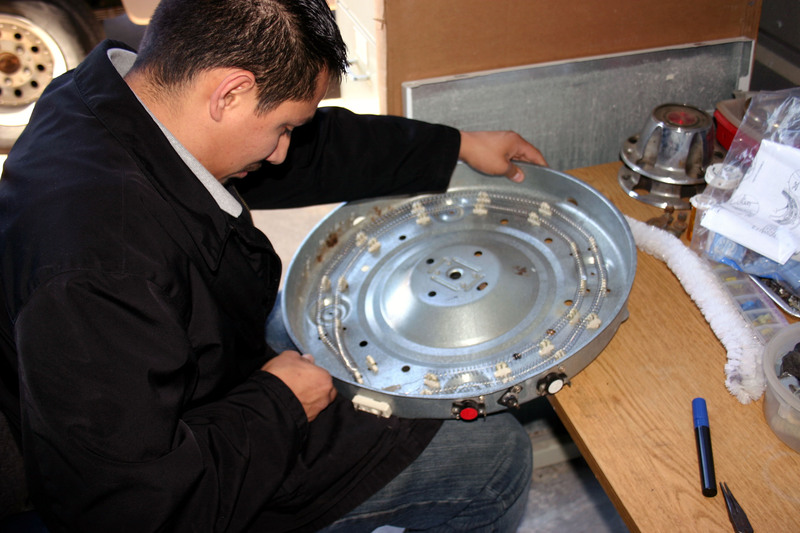 Often times, the repair expense are excessive and a replacement unit is a more reasonable approach. After purchase, if the equipment is maintained by professionals (like BCAL) and an adequate equipment service system set up to ensure longer life of your equipment (this is where we can save you a lot of money); and on those larger projects possibly hundreds to thousands in repair maintenance and replacement costs. 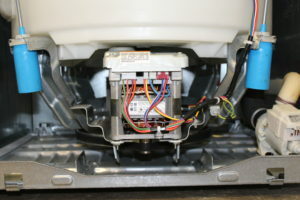 Maybe you’ve experienced that run around service company that came out to repair one of your appliance’s and the bill ended up being a couple of hundred dollars for a simple washer strap replacement and little rebalancing of the feet plus the charge for the actual service call and now it’s cost you over two hundred dollars to repair. That is nonsense. We have several distributors for parts which allows us find the lowest price available and then we pass those savings on to you. We understand the multiple variables in determining your equipment’s value and/or repair costs vs. monthly revenue generated and potential future earnings of equipment. We consider many factors when determining the best options for our clients. I remember when you could buy a washer/dryer set for less than $500. Now you’re lucky if you can find a new washer for under $400.00, and that’s the very basic model – nothing fancy. TO LEASE OR TO PURCHASE, THAT’S THE QUESTION! Corporate clients have the option to lease or purchase a washer, dryer or refrigerator. We do not lease (rent) ranges/stoves, dishwashers, wine cooler systems (racks), or microwaves. As for these appliances, they will have to be bought through direct sales or under a purchase agreement (discussed further – below). If you are looking to upgrade or replace appliances for multiple properties, one property or an entire apartment complex/housing sub-division then we can discuss the various leasing and/or purchasing options available. We want what’s best for you. We give you the options and then it’s up to you to decide what works for you, leasing or buying? We can offer our customer’s the very best in washers, dryers, and refrigerators for lease. We offer two washer/dryer combo lease options. 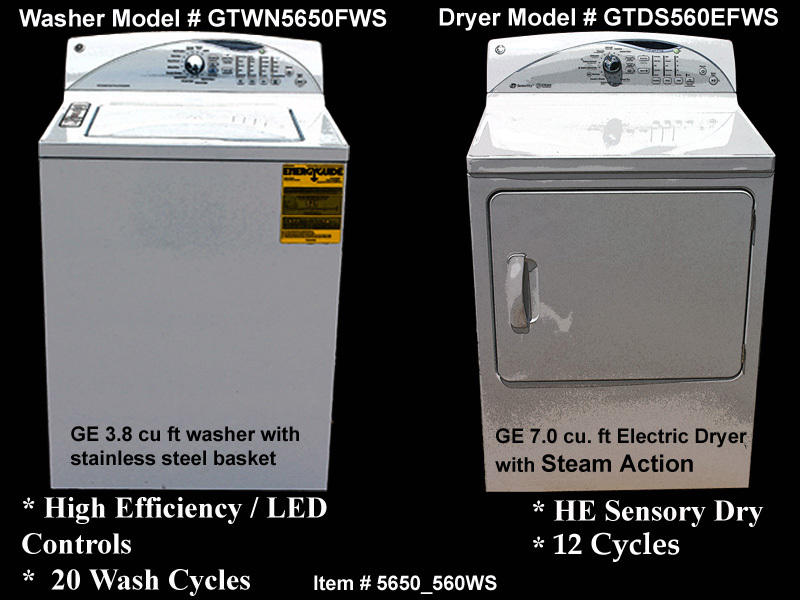 One is our standard household model washer/dryer with all the basic functions and needs, and then there’s the more elaborate high efficiency washer/dryers (with and without Steam feature). We can provide several different styles in refrigerators for lease from the standard household refrigerator/top freezer to the fancy French door refrigerator with bottom freezers. Purchasing can often be the best option for our real estate investors, developers and even property management companies looking to supply small or large development projects, or to simply upgrade their rental property. There are many different styles when looking to purchase a washer, dryer, refrigerator and electric or gas range. We can help navigate you through the various models so that you are not spending more on an appliance(s) than the property dictates or is needed. We think you will be very pleased with our guidance and the systems we can set up to ensure equipment longevity. No project is too small or too big. WHOM SHALL SERVICE MY EQUIPMENT WHEN LEASING OR AFTER PURCHASE? Our equipment is always in top notch shape and easy to use; however, when you lease a washer, dryer or refrigerator from us we will handle all service work on the appliance should there ever be a malfunction during the term of the lease. We provide an online service request’s form which are quick and easy to fill out. If you have any questions on how to operate the equipment you may simply contact our office and a tech will assist you or your resident. However, we do provide a very informative section on our website dedicated to helping our customers with operating their equipment and making it lasts longer, see our Useful Information section (with frequently asked questions and useful tips for operating equipment). This section is really awesome! 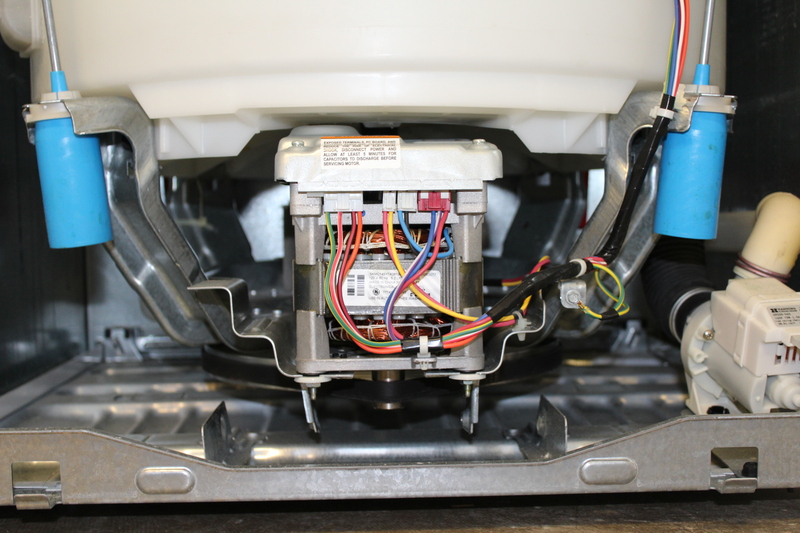 One of the most frequently problematic occurrences we hear about is the failure of individuals and other companies to install the washer and dryer properly and knowing how to work on it. 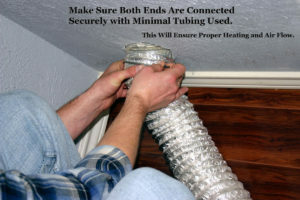 If installation is not done correctly the first time then this will definitely cost you in the future. Either in return trips to customer’s residence (which is never cost effective), damage caused to equipment and possibly residence (flooding – failure to install drain hose properly). There are many issues you don’t want to be dealing with later because of poor service, so let us get it done right for you the first time! We can explore the different purchase options that we will tailor to your business needs. For example; say you are an investor or entrepreneur and don’t wish to tie up many thousands, or even hundreds of thousands of dollars on appliances in your new development project. Why not let us bear the cash strapped burden, and you spend that money you just saved on other areas of your business that could use an infusion of funds. We provide the appliances, set an 18-24 month purchase agreement (for ownership) on the equipment provided for project, and then once the manufacturer’s warranty has expired (one year) we can handle the service work on the equipment for however long you wish through a service agreement. Also, designed to your needs. Below are some examples on the different ways we may help to improve your business and increase your wealth at the same time. Maybe you’re an investor with several properties around the Dallas metropolitan area whose kitchens and laundry rooms need upgrading before selling or renting. We have several very nice Glass Top Washers (even starts and stops with your mobile app) and Clear Front Dryer’s on our website along with an assortment of Refrigerators to choose from. Many of these small inexpensive upgrades can enhance the appearance of your property. Once you rent that property, with those new sparkling appliances, you may now want to increase your monthly rent and keep collecting that mark up for several years to come. Perhaps you are looking to sell these properties then you’ve made a small investment that could grant you bigger returns or at least get you the price your asking for at sale time. Fill multiple properties and receive a discount. We can provide an upgrade with all or some of your appliances for that condo or apartment development, allowing you to charge more in rental per residence per month and easily paying off the equipment with other people’s money (tenants) while gradually turning this investment into a nice passive income for next several years. As with some of our Corporate Clients we simply supply a washer, dryer or refrigerator (or all three) to the address of request…always on time and looking great! And you’ll receive a monthly statement. If interested in leasing, we have several different options simply fill out the Corporate Application. You may be a Property Management Company simply looking for ways to increase your company’s monthly revenue? Maybe you could lease a washer and dryer through us; include the costs in your tenant’s lease, charging a few more dollars in rental monthly and advertising to your clientele that their new apartment also comes with a standard or high efficiency washer/dryer. Think they’ll like that? We will never issue a piece of equipment for rental, we would not use in our own homes. That’s a promise! WE USE GE PRODUCTS – WHERE CAN YOU VIEW SOME OUR EQUIPMENT? 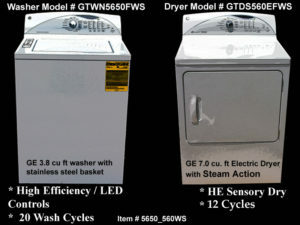 We use GE equipment, and have been very pleased with their products over the years. You may look through some of our inventory on the Rental with Purchase Option section of our website, and Special Promotions Section, both under Our Products. Our knowledge of the equipment and its operations is definitely superior in the industry, and our honesty with our clients make us a diamond in the rough. Whatever the size job we are here to help you get it done and completed on time. If interested in becoming a Corporate Client simply fill out the Corporate Application provided on our Home Page. Once submitted, we will try our best to contact you the same day. We can’t wait to hear from you! And have a wonderfully day!